Louis I. Kahn (1901–74) was one of the foremost architects in America during the twentieth century. His notable buildings include the Yale Study Center; the Salk Institute in La Jolla, California; and the Exeter Library in Exeter, New Hampshire. On February 12, 1969, Kahn gave a lecture at the School of Architecture at the Swiss Federal Institute of Technology in Zürich. 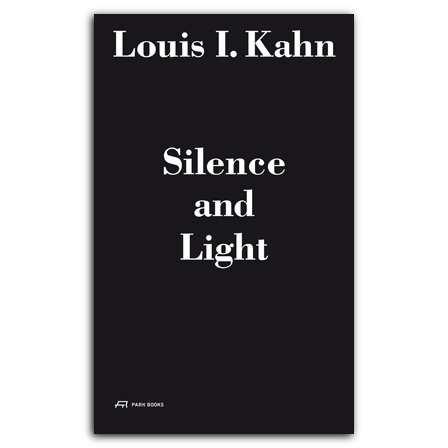 Entitled Silence and Light, the lecture explains Kahn’s spiritual understanding of architecture, which goes far deeper than simply constructing buildings. It also gives a remarkably prescient account of a belief in sustainable architecture that prefigures the twenty-first century’s focus on green technology. The lecture is represented in transcripts in five different languages (German, Italian, English, French, and Spanish), as well as an audio recording of Kahn giving the lecture in English included on CD. To complement the original text, the editor has included a preface written by Kahn’s close friend and fellow architect Balkrishna V. Doshi, as well as many of Kahn’s own images and drawings, some of which have never been published before. , born 1927, is an Indian architect. He has been collaborating with Le Corbusier in 1951–1954 and with Louis I. Kahn in 1962–1974. (1901–1974), born in Estonia and educated in Philadelphia, where he established his architectural studio in 1937. He taught at the universities of Yale and Philadelphia. His most important works were built during the final two decades of his life in the USA, in India and Bangladesh. , born 1945, lives and works as an architect in Zürich. He is co-author of the classic monograph Louis I. Kahn – Complete Work 1935–1974.